After launching apps like Tez for payments, Areo for food ordering, Neighbourly for communities, data-friendly versions of apps like Search and YouTube, and others, the company is all set to serve the needs of the Indian web users even more. The new mobile application is listed on the Google Play Store as ‘exclusive to India’. It is compatible with WordPress and Blogger.com blogs. This app helps bloggers manage their sites and find topics to write about based on Google’s trending topics. 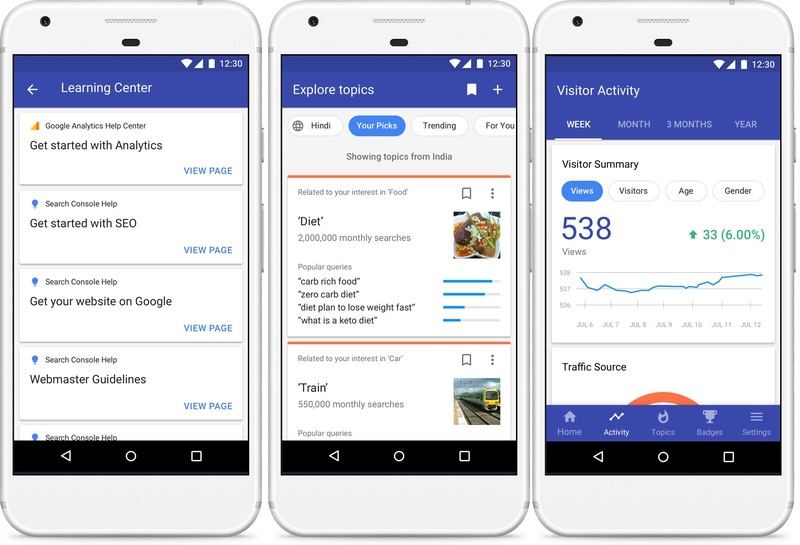 Also, the app helps bloggers in managing their sites by tracking their site stats, approving comments and also reading through tips for how to make their blogs more successful. The app works with two of the largest and most familiar platforms used by bloggers around the world. It may also help those people who aren’t as familiar with how the web or blogging works and this will help the developing market of the country. The app will offer courses on things like getting started with SEO and analytics, for example, and also, getting your website listed on Google. It is also being rumoured that Google is to debut in e-commerce from India around Diwali. Let us see what all Google is planning to bring in for India.